One of our greatest assets is our diversity. Multicultural Business Programs (MBP) is a diverse, team-oriented group of academic specialists, graduate assistants and undergraduate students that represent a wide variety of cultural, economic and racial/ethnic backgrounds. MBP provides a number of opportunities for students within a supportive community, including four active student organizations. Multicultural Business Programs (MBP) provides continuing student support to help ensure graduation, with individualized academic advising, tutoring, career development and placement. We currently serve more than 650 multicultural students enrolled in business or pre-business majors. On behalf of the staff of Multicultural Business Programs, I would like to welcome all of our new visitors. Multicultural Business Programs is a diverse, team-oriented group of academic specialists, graduate assistants and undergraduate students. We represent a wide variety of cultural, economic and racial/ethnic backgrounds. I encourage you to join our distinguished family of dedicated professionals. I encourage our alumni to continue to be involved with the development and support of our current students. The Native American Business Institute is a weeklong pre-college summer program for sophomore and junior Native American high school students interested in learning about college and careers in business. Participants work with MSU admissions officers, college counselors, tribal community leaders and corporate representatives in a seven-day “business boot-camp” that prepares students for the college application process and exposes them to numerous academic and professional opportunities. In addition to serving as a recruitment tool, another very important aspect is the creation of a cooperative learning environment for the tribal communities and current MSU/NAHBS college students and staff. Workshops and presentations are directed by the host tribal community to educate the visiting MSU students and staff about the history, culture, business and governmental operations of the host tribal nation. Tours of the host community’s governmental and business operations, most importantly the casino operations, reveals for visiting MSU/NAHBS students misconceptions of Native American people and their surrounding community and business environments. The first round of applications is due by May 3, 2019. Late applications will be placed at the “end of the line” for review, and students are accepted on a space-available basis. Implemented in 2007, the Native American Community Outreach Project (NACOP) component of the NABI has strived to create awareness of a university education and business careers for Native American high school students. Through the NACOP, Native American youth are introduced to the planning and preparation needed for entry into higher education. Activities that were and will continue to be conducted during NACOP visits are workshops developed and led by NAHBS leaders, designed to educate Native American high school students about the expectations and preparations needed for college enrollment and success. Native American high school students who will be in grades 9–12 during the upcoming school year interested in learning more about college and opportunities in business. The Native American Business Institute is a FREE week-long pre-college summer program for Native American high school students that will be in grades 9–12 during the upcoming school year. Participants work with MSU admissions officers, college counselors, tribal community leaders and corporate representatives in a seven-day “business boot-camp” that prepares students for the college and exposes them to numerous academic and professional opportunities. NABI will be held on the campus of Michigan State University June 22–June 28, 2019. What will I gain from the NABI experience? Most importantly—learn how to WORK HARD AND PLAY HARD! MBP offers academic and career advising focusing on assisting students in achieving a higher GPA, admission into the college and completion of major requirements. The advising sessions also focus on career decisions, mock interviews, internship and full-time job concerns. The MBP offers students a broad range of personal and academic support. Early awareness of academic demands and a definition of career goals are important factors in student success. We work with students to identify individual strengths, values, interests and goals. In addition, students are assisted with planning academic strategies to overcome academic difficulty and achieve personal career goals. We conduct special outreach for students on academic probation in order to redirect their scholastic performance. To sign up for an advising session, call (517) 353-3524. The Multicultural Business Program offers free tutorial services to undergraduate students during the fall and spring semesters on a first-come-first-serve basis. This service provides approximately 200–350 students each semester with support in certain core business courses. Our tutors help students review concepts and practice problem solving and applications for these specific courses. MBP currently offers tutorial assistance in the following areas. 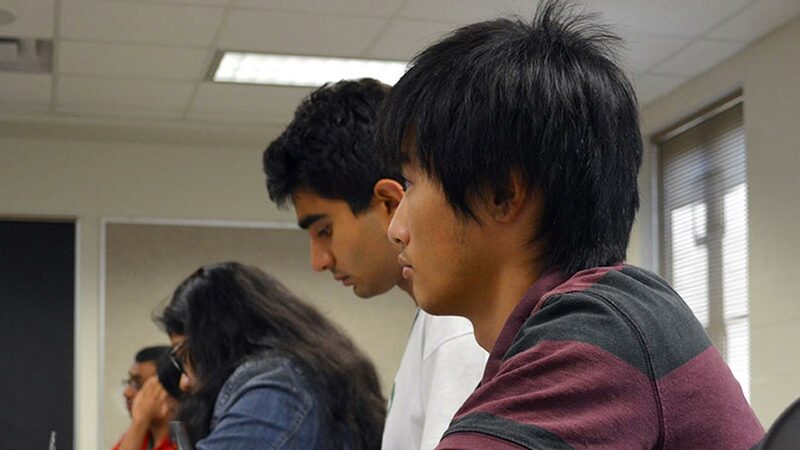 Students are assigned tutorial sessions on a semester-by-semester basis. These tutorial sessions meet twice a week and occur on either Mondays and Wednesdays, or Tuesdays and Thursdays. Sign up for MBP’s tutorial services begins during the first week of class each semester. Due to student demand, tutorial sessions fill up fast, and usually all tutorial spaces are full within the first three weeks of the semester. Applications are available online or at the reception desk outside 418 Eppley Center. Applications are accepted on a rolling basis. Tutorial positions are filled primarily through advance hiring at the end of each semester for the following academic semester. However, some vacancies are filled at the beginning of each semester due to increased student demand. Applications are available at the MBP reception desk outside room 418 Eppley Center. Reminder: If you drop the course you are being tutored in and want to cancel your tutorial session, wish to change the subject in which you are being tutored, or need to update your schedule of availability, you will need to contact the tutorial coordinator at (517) 353-3524 or stop by 417 Eppley Center for instructions on how to make the above changes. Student organizations are a great way to become involved with Multicultural Business Programs. They give you a chance to meet students with similar interests, develop your leadership and communication skills, learn about corporations and attend conferences. Membership is open to all MSU students, including non-business majors who have interest in the business field. Membership dues are $30 a year for your first organization and $10 for each additional organization. Multicultural Business Success Academy (MBSA) is a program designed for students who are a part of the Summer Business Institute that extends the experience into the freshman year by providing additional resources and support toward students on their road to success. MBSA offers a three-credit course called BUS 291. This hybrid course includes online and in-class participation. Multicultural Business Programs accepts applications from October to January each academic year for the Black History Month Multicultural Heroes Hall of Fame Case Competition. Applications will be available online and at 417 Eppley Center in October. The competition is open to all MSU undergraduates. Teams must consist of three MSU undergraduates. Each team selects a multicultural hero from the list provided on the application. A team has 10 minutes to make their case, including a biographical overview, how their hero has carried and passed the torch of justice, how their hero contributed to the struggle for human rights, the relationship between their hero and Dr. Martin Luther King, Jr. and why he/she should be inducted into the Hall of Fame. The winning team is selected by a panel of judges and will receive a $2,000 grand prize. The Multicultural Business Programs Advisory Board is made up of MSU-MBP alumni who are committed to the MBP vision of encouraging students from all cultural, economic and racial/ethnic backgrounds to pursue higher education, a business degree and a professional business career. The MBP staff invited a select group of MSU-MBP Alumni to apply for the advisory board and interviewed each candidate extensively. Advisory board members were selected based on their commitment to the MBP vision, their professional experiences and their passion for student success. The advisory board has two formal meetings each academic year, and board members are involved in various student activities and programs. The Multicultural Business Endowment Campaign is an effort started by MSU alumni to raise funds to establish an endowment to honor Ernest S. Betts for the Multicultural Business Program (MBP) in the Eli Broad College of Business. Dr. Betts is the founder and has been the director of MBP since its inception as an academic unit in the college in 1986. Over the years, under his leadership, MBP has grown into a prominent program because of his dedication, vision and commitment to a diverse community that fosters a supportive environment. In 1996, Dr. Betts became assistant dean for the unit. This endowment not only will honor Dr. Betts, but also will ensure the program’s continued excellence and commitment to a multicultural community for future students of the Broad College. 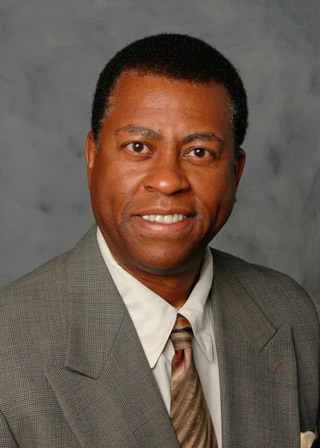 We urge you to take a moment and give to the Multicultural Business Program Endowment honoring Dr. Betts. Why is the Dr. Ernest S. Betts Endowment for Multicultural Business Programs important? If you’d like more information on this endowment, please contact Darrell King via email at king@broad.msu.edu or by phone at (517) 353-3524. Multicultural Business Programs is grateful for the continued financial and in-kind support from our corporate partners. Corporate representatives make a critical contribution to MBP’s effectiveness by investing time teaching, inspiring and mentoring MSU students. The partnership between the MBP staff and our corporate partners is necessary for student success.